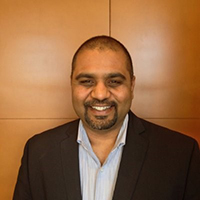 Shekar is a Manager in the Digital Enablement practice focusing on Data and Analytics with more than 17 years of experience in the IT industry. He has significant experience in delivering large scale, full life cycle software implementations and infrastructure projects. He specializes in Architecture and design with a keen focus on data and analytics related projects. Shekar’s past projects include some large implementations for state governments and products that focus on analytics. He has also build products on cutting edge technologies such as blockchain.